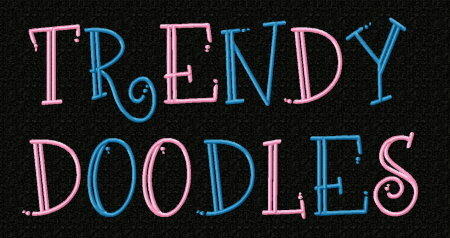 Trendy Doodles Monogram Font - 4x4 - $14.99 : Fancy Fonts Embroidery, Home of the ORIGINAL Trendy Dots Font! 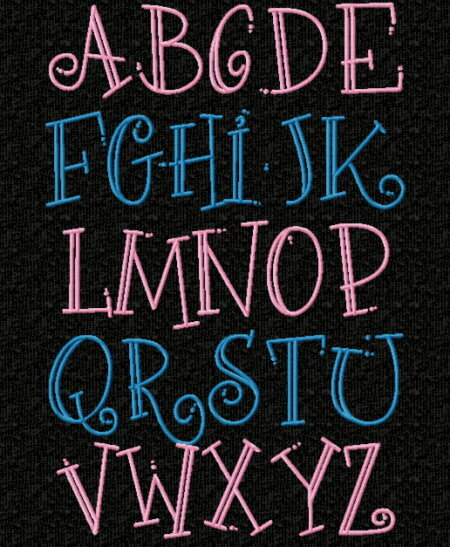 A super cute, trendy and fun font for monogramming so many projects such as towels, linens, totes, t-shirts and more! 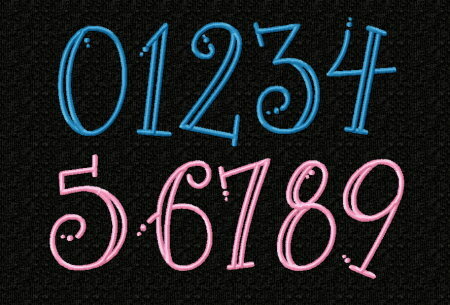 This set includes 26 letters, as well as numerals. Letters measure approx. 2.5 inches in height. All letters fit the standard 4x4 hoop.